Four years ago Bear (Barry) Sam's house on the Tsartlip Reserve in Brentwood Bay, BC burned to the ground. He was lucky to get out alive. Since then he has been couch surfing and living in an old, leaky, shell of a trailer, black inside with mold and with no running water. His health is poor and his breathing is increasingly laboured with asthma due to mold. His friends have been watching his situation continue to deteriorate and are determined to help - before it's too late. 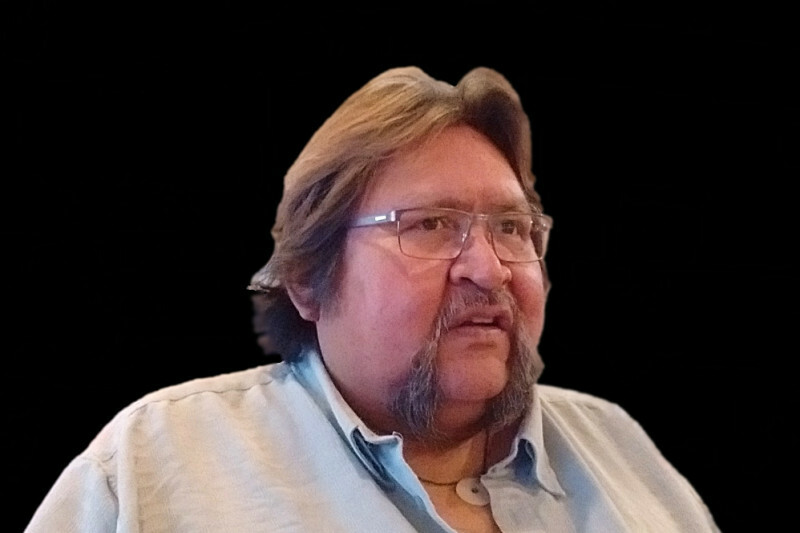 Bear is a proud artist, with a depth of knowledge of his First Nations language and traditions. He is also a true ambassador of his culture, always willing to share with great respect, his heritage and culture with others of all backgrounds. With the help of some amazing people in different social service agencies in Victoria, we have secured funding for, and have confirmed rental of a simple, small bachelor apartment in Esquimalt for Bear to move into. He is so grateful and so hopeful that his health can now improve, and that he can start to create again. We are hoping to raise at least $2,000 to help Bear transition into this new place. He has literally no money and very little in the way of possessions. What he has, including clothes, are riddled with mold. Funds contributed will be used to help Bear purchase basic used furniture, household items and clothing. He's also required to purchase tenant's insurance, and we'd love to help him make a good start with some food on the shelves as well. If you'd like to help Bear in this way, we know he would be forever grateful. We will be receipting every donation and will be happy to show you how funds are being spent. Bear keeps saying how grateful he is for all the people helping him out. It's in a nick of time. No running water in the shell of a moldy trailer he's been in, except for rainwater leaking through the roof and landing on him in bed (after passing through moldy insulation on the way). He's having a hard time breathing because of asthma, and sometimes is using a cane to walk now. I'm guessing waking up cold and wet has something to do with that. His apartment in Esquimalt is small, but warm, dry and cozy. Thank you all for helping!